The reason why these people want to seek these treatments in a more developed countries is because they want an access to well-trained providers, as well as facilities just like what Vera Clinicis offering. On the other hand, other individuals opt to travel to less developed countries because it is cheaper. 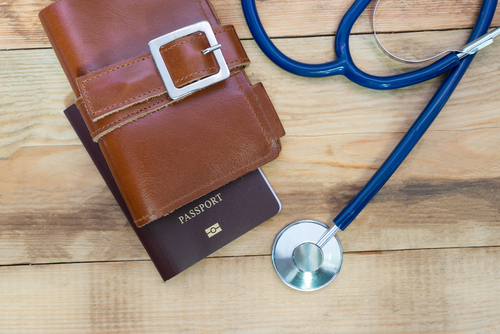 There are several countries all over the world which are becoming centers for medical tourism. To be more specific, in the recent years, more than 15 million visitors from other countries have visited Turkey. This is a plastic surgery procedure which utilizes a special cannula for the purpose of contouring and shaping the abdominal fat. This procedure is for patients who want to have a leaner and a more flat abdomen. This is a plastic surgery operation that repairs or modifies the eye region, specifically the eyelids, mostly for aesthetic purposes. It is for individuals with droopy eyes. During this procedure, excess fat, muscle, or skin is removed. More simply known as Botox, this type of toxin obstructs nerve movement in the facial muscles. As a result, the appearance of facial lines and wrinkles are temporarily eased off. This invasive procedure is for people who would like to improve the shape or add to the fullness or size of their breasts. In this surgical procedure, breast implants are placed on the chest muscles. Also known as male breast reduction, this operation takes out extra fat as well as glandular tissues to achieve a flatter chest. This surgical treatment aims to reverse hair loss. What is done during this procedure is that healthy hair follicles are removed from a part of the patient’s body and is transplanted to a part that is starting to bald or already bald. This surgical treatment is done by utilizing high-frequency sound waves to turn excess fats, from certain part/s of the body, to liquid prior to getting rid of it through suction. This procedure is similar to breast augmentation, except that is it for men. That is why the implants used are firm so that the chest would have a more solid feel. This sudden increase in Turkey’s commerce was set in motion by its growing and improving capital spending in health care services, as well as facilities. Proximity, as well as the inexpensive travel and treatment costs are some of the reasons why these patients are drawn in Turkey’s health tourism. So, if you wanted to be practical, then consider Turkey as one of your options.